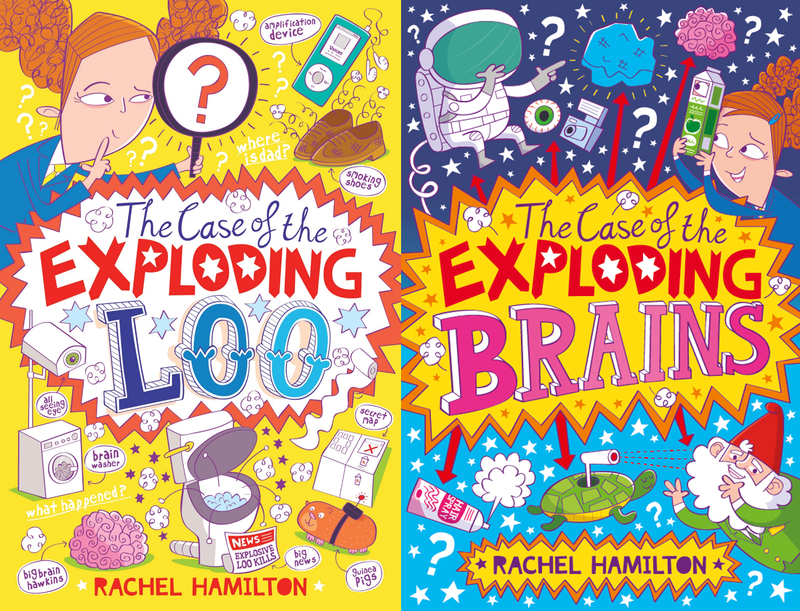 Hello, I’m Rachel Hamilton, author of The Case of the Exploding Loo and The Case of the Exploding Brains. This week, I’ve been outlining The Case of the Exploding Book 3 ready for my NaNoWriMo mission. So, I’ve been thinking a lot about structure. Particularly about beginnings and endings. Also, what happens after the happy ending? If people aren’t dead (admittedly, there were more than a few corpses on Avengers), life goes on. So a happy ending isn’t really the end, is it? It’s just a happy moment. But you have to grab those moments. Because they’re brilliant while they last. I had a special ‘moment’ last week and it involved my ten year-old son. Bless him. He’s my favourite boy in the world. He’s bright and smart and funny and he has many talents – and yes there is a ‘but’ coming – BUT sport has never been one of them. This is the kid who tried to skive off swimming lessons by telling the PE teacher he felt seasick. This is the kid who got a refund from a ‘non-refundable’ skiing course because he refused to put on his skis and decided to build a snowman instead. This is the kid who scuppered the ‘tennis ball throw’ event at his Year 2 Sports Day by hiding the balls in his pockets. And this is the kid who once had to be carried off the pitch by the football coach because he wouldn’t move and other kids kept falling over him. So imagine my surprise when he came home with this lovely certificate. Laminated and everything! 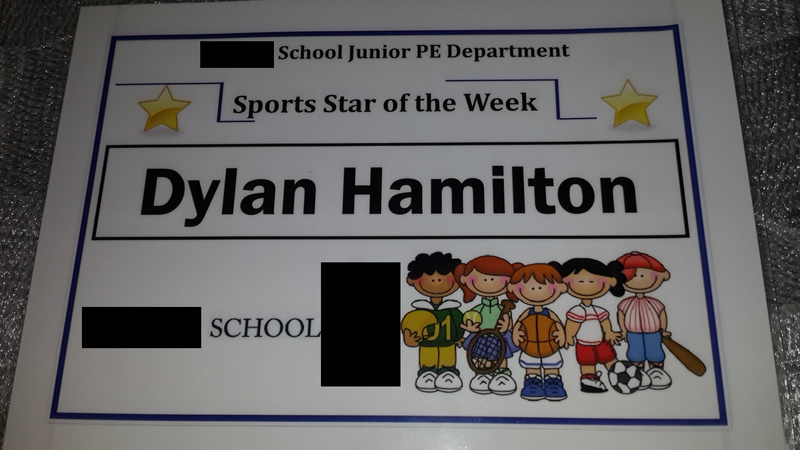 He was, I’m told, awarded with the prize because, after six years of school football lessons, he actually moved during a game. Not only that, but he tackled another child (don’t tell anyone, but I suspect it may have been by accident). According to eye-witness reports, the entire match halted in a mass-gasp-of-shock and everyone came running to give him a High 5. Even the kids on the opposing side. This was a ‘moment’. A fist pumping, tear jerking, head nodding moment. At this point in the movie of his life, my child (*sniff*) would be raised on to the shoulders of the crowd and the backing music would swell to a crescendo as the screen faded to black and we all lived ‘happily ever after’. Certainly, that’s what my husband assumed. He was ready to call Roy Hodgson to confirm Dylan’s place on the England squad. Tags: a writer's life, funny, Happy endings, Rachel Hamilton, The Case of the Exploding Loo. Bookmark the permalink. I’ve just spluttered tea everywhere laughing! Go Dylan. Would love to know if he manages to control time. Haha. I’ll keep you posted! I love this! He sounds so similar to my Oscar. You’ll savour that moment more than he ever knows. Thanks, Laura. Desperately trying to get today’s last 400 words done! And I have always wondered what happens after the happy ending. Awww. LOVE this story. Bravo to Dylan – and the last bit made me laugh out loud. Aren’t kids brilliant? He should be the one writing books! love the cover of your books Rachel! Thank you! I love them. They were drawn by The Boy Fitz Hammond. He’s just brilliant! I love the inside illustrations too.